Looking to add a touch of modern, rustic style to your garden? 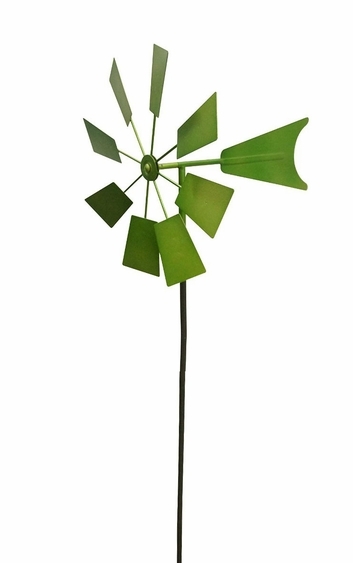 Our new lime green windmill wind spinner garden stake is the perfect balance between modern and vintage. We just love how the vibrant metallic paint glistens in the sun as it spins. This new windmill spinner stake, like the wind, will blow you away! This new wind spinner features 8-piece blades that allow for easy gliding, even in a light breeze. Multi-dimensional spinning action - spins around and also able to rotate towards the wind as well. Place this modernly classic piece in your garden, backyard or front lawn to add a lovely, colorful accent.